WE BELIEVE that a Christian school, in which every subject is taught from a Christian point of view and where the teaching reflects the spirit of Christ, can be more successful in leading children to a vital Christian life, than any other agency except the Christian home. WE BELIEVE that Word of Life Lutheran School thus supplements the religious training which the child receives at home, and in some cases, is the main source of training through which a child learns about his Savior. WE BELIEVE that Word of Life Lutheran School must serve as a mission agency in the community. WE BELIEVE that Word of Life Lutheran School follows the directives of our Lord. “Teaching them to observe all things whatsoever I have commanded you,” and thus makes HIM the focal point of its educational process. WE BELIEVE that the uniqueness of our school lies to a great extent in the consecration with which its teachers address themselves to their tasks. WE BELIEVE that this school, in all its teachings and practices, subscribes to and supports the doctrines and doctrinal practices of the evangelical Lutheran Church, and specifically The Lutheran Church-Missouri Synod. WE BELIEVE that Word of Life Lutheran School, empowered by the Holy Spirit, and viewing the pupil through the cross of Christ, is concerned with the child’s total needs: physical, social, emotional, intellectual and spiritual. 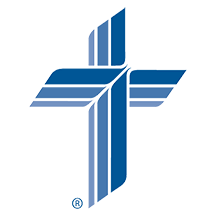 WE BELIEVE that Word of Life Lutheran School is an agency of ministry for Ascension, Timothy and St. Lucas Lutheran congregations.